Modern science and technology transformed how the humanitarian community addresses current and emerging challenges. Disaster response and preparedness, emergency procurement, agricultural productivity as well as health & WASH practices are more effective thanks to innovative solutions aimed to support vulnerable populations and progress towards the 2030 Agenda for Sustainable Development. As part of the third annual edition of the guide to “Solutions That Save Lives & Support Development”, Aid and International Development Forum (AIDF) has researched cutting-edge technologies, products and services that are making an impact on humanitarian aid, international development and disaster relief. This year’s survey resulted in over 300 nominated solutions suggested by aid agencies, NGOs, United Nations and the private sector companies across the world. The 2017 edition of the guide offers a list of the most innovative solutions from mobile applications and data management tools to portable water purification treatments, solar powered energy supply and sustainable building materials for emergency shelter. The guide also includes innovations in emergency management, procurement and sourcing of essential aid supplies, healthcare equipment and medical devices, agriculture and education. The Aid and International Development Forum (AIDF) is grateful to everyone who participated in the survey and would like to congratulate organisations which have been featured in the 2017 edition of the guide. We hope this report will inspire new innovations to help shape brighter future outcomes for the conflict affected, the poor and the vulnerable. Hear from leading solution providers and share best practice and case studies from implementation of your technology, product or service. Take a look at the 2015 guide "Solutions That Are Saving Lives in Humanitarian Response" and 2016 guide "Inspiring Solutions That Save Lives & Support Development". TolaData is an open source and flexible solution for connecting and organizing multiple data sources and linking them to key program management initiatives. TolaData combines M&E processes with open data and open source tools to provide a dynamic platform for data discovery and high-impact analysis. TolaData helps you to standardize your data needs while at the same time remaining flexible enough to meet the ever-changing demands of an international team. Fulcrum Community is a no cost solution that makes Fulcrum available for crowd sourced emergency management efforts, humanitarian organizations, and disaster relief efforts. Deploy mobile apps during a response and provide either local volunteers with the tools to collect data or use the application internally. Community provides both a customizable mobile application but also a landing page to recruit volunteers to collect data. Deploy the application from anywhere in the world. AnsuR provides the RAIDO solution. RAIDO targets emergency response and management of natural and man-made disasters and incidents. It can be applied to any kind of emergency situation suited for all local, national and regional operations. The deployment of the RAIDO interactive communication system ensures images and video can be shared with disaster recovery teams even in the event of terrestrial communications failure following a disaster. RAIDO provides rapidly available in-situ geo-tagged images. These field observations are mapped with GIS, aerial and satellite data, providing emergency management and relief teams with accurate situational awareness for faster and more precise assessment, decision making and action. Finally, RAIDO also features Crowdsourcing as a powerful in-situ generator of information. ESRI assists in providing the best location to place food distribution points to reduce walking times for beneficiaries. Madagascar saw an increase in attendance at food distribution points by 30% as a result of this information and distribution relocation. The power of terrain analysis can improve lives and development program participation. Using terrain analysis to estimate walking times can help us reach the most marginalized who are often hard to reach. IST Research built the Pulse Platform to address some of the most urgent human security issues faced by the world’s vulnerable populations, specifically transnational crime and global extremist terrorism. Pulse mobile technology allows organisations to connect to people in high-risk and low-stability environments where communications and data flows may be limited. IST communicates with people using technology that is already part of their daily lives, from SMS and social media surveys to interactive voice response and one-on-one interactions. Pulse pairs information from those interactions with related data from the web surface, deep, and dark for the most comprehensive look at complex and evolving solutions. UAV technology plays an essential role in humanitarian response, allowing aid agencies to survey wide areas of damage from the air. Even in the most remote locations, real-time video transmission provides invaluable data, identifying flooded areas, obstructed roads, population movements and damaged infrastructure. Unlike fixed-wing systems, the Aeryon SkyRanger Unmanned Aerial Vehicle is a vertical takeoff and landing small UAV — ideal for providing continuous eyes-on-target for situational awareness, supporting operations in confined environments, and allowing low-risk launch and retrieval without peripheral equipment. GlobalMedic utilized the Aeryon SkyRanger in response to natural disasters, including the 2013 Typhoon Haiyan in the Philippines, the 2015 Earthquake in Nepal, and the 2016 Earthquake in Ecuador. Aeryon’s Skyranger uses a unique touch-screen interface in order to control flight paths, collecting expansive video and imagery of a disaster zone. Equipped with thermal cameras, it can identify people trapped or injured in a disaster zone, supporting search and rescue efforts. These maps are vital in the assessment of humanitarian needs, and in turn, the coordination of an effective and efficient humanitarian response. By disseminating this invaluable information, the humanitarian network can coordinate to effectively save more lives. Large scale disasters and complex emergencies destroy thousands of homes every year. Rebuilding these homes presents a massive and costly task for humanitarian agencies and local governments. Supporting families who have lost their homes as a result of disasters, GlobalMedic operates an innovative shelter response using Compressed Earth Block (CEB) technology. By simply compacting soil from surrounding areas using the AECT Impact 2001A, a strong, durable and environmentally friendly building material is produced. These blocks are then used to construct new houses that meet international building codes. These homes not only protect families in the event of future disasters, but also create employment, strengthen local participation and support the livelihood of communities. GlobalMedic has utilized the AECT Impact 2001A in shelter rehabilitation efforts in the Philippines, and 36 permanent houses have been constructed to date. These homes provided an immediate shelter solution for families who had lost their homes as a result of the Super Typhoon Haiyan, and have continued to serve as a safe space where multiple families take refuge during passing storms. The impressive productivity of this machinery has been harnessed to provide truly sustainable solutions to shelter rehabilitation. During emergencies, rescue operations need to be fast to respond to various situations. In mud, quicksand, floods, ice or mixed terrain, conventional vehicles have serious limitations, and to overcome access issues then need auxiliary equipment such as flotation platforms to reach victims from mud and ice. Hov Pod Rescue Hovercraft is useful for flood, mud and ice rescues where it is impossible to use a boat or traditional vehicle. During floods, boat propellers get snagged up on street furniture, wire fences and plastic bags floating in the water. Hov Pod have no propellers and good on fast running water that would sweep a boat away. The Hov Pod can carry up to 1500 lbs (680Kg) with a speed of up to 45 MPH. Local to Global Protection records and promotes local perspectives on protection, survival and recovery in major humanitarian crises. Based on research in Myanmar, the occupied Palestinian territories, Sudan, South Sudan, Syria and Zimbabwe, the L2GP initiative explores what people living in areas affected by natural disasters and complex emergencies do to survive and protect themselves. It also carried out research on how people and communities perceive efforts undertaken by others such as local authorities, UN and NGOs. Lanka Rain Water Harvesting Forum promotes the application of rain water for domestic purposes through communication and research. LRWHF installed rain water harvesting technology in tsunami affected districts of the southern and eastern province of Sri Lanka. 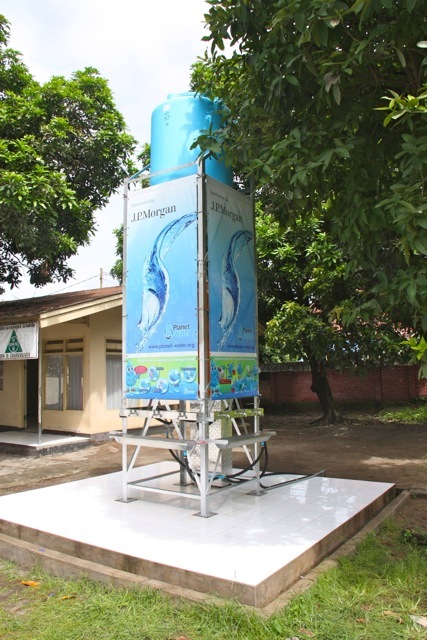 This water supply solution is low cost, energy efficient and environmentally friendly. 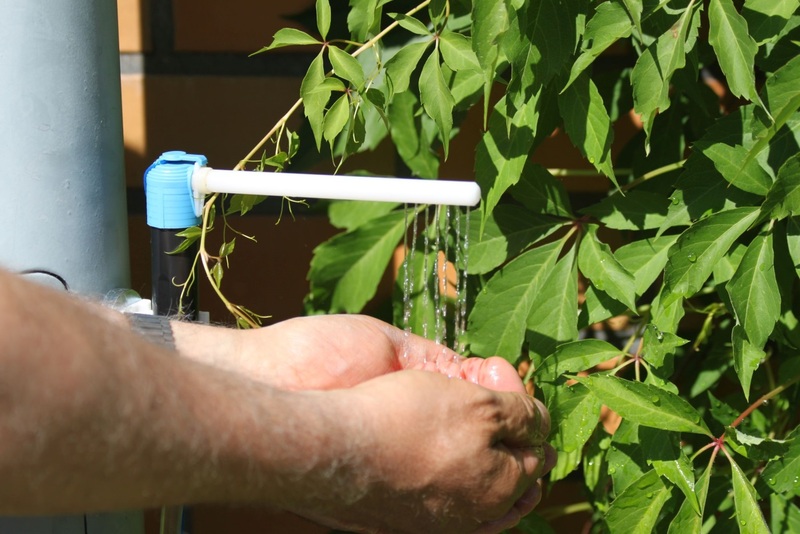 It can be adopted by both rural and urban households to sustain their water needs. LRWHF also trains local communities on domestic level agriculture and water conservation through use of drip irrigation kits. Civilians face the risk of death every day in active conflict zones as a result of a multitude of factors, including explosive blasts. The introduction of protective barriers is a necessary intervention and the most effective way to protect lives. The 3M Scotchshield Safety & Security Window Film (3M S600) has been specifically tested to withstand rapid increases in pressure resulting from detonations of high-explosive projectiles. The micro-layer, tear resistant design prevents the fragmentation and dispersion of glass, thereby reducing severe injuries and fatalities in the event of a bomb blast. GlobalMedic has extensive experience utilizing this innovative blast film in conflict zones. To date, GlobalMedic has installed 35,000 square feet of blast film along the frontline of the conflict in eastern Ukraine. This film was applied to windows in schools (including kindergartens), children’s clinics and hospitals (including maternity wards). It has prevented the most vulnerable civilians from suffering injury or death caused by shattered glass in the event of an explosion. 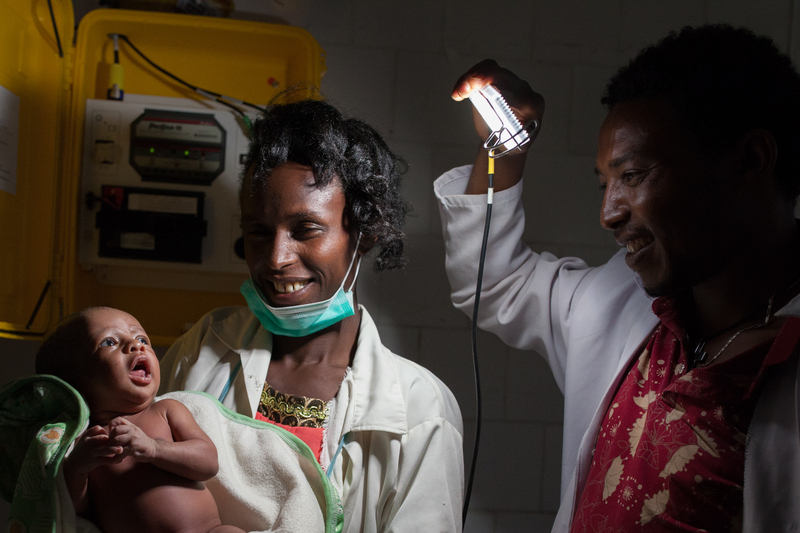 This technology is lighting up health clinics so that midwives can deliver babies safely with reliable and adequate power. We Care Solar designs portable, cost-effective Solar Suitcases that power critical lighting, mobile communication devices and medical devices in low resource areas without reliable electricity. By equipping off-grid medical clinics with solar power for medical and surgical lighting, cell phones and essential medical devices, We Care Solar facilitates timely and appropriate emergency care, reducing maternal and infant morbidity and mortality, and improving the quality of care in Africa, Haiti and other regions. Off-grid communities such as those in sub-Saharan Africa can pay thousands of times as much as the rest of us for their energy. GravityLight offers an affordable, reusable light source that doesn't require electricity or battery power. 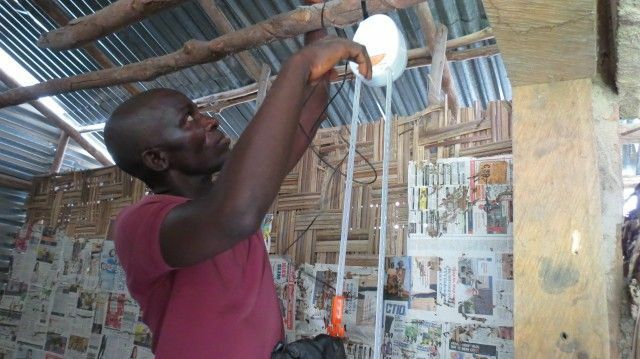 Combining kinetic and potential energy, GravityLight works by connecting an elevated weight — filled with rocks or sand — to a pulley system that slowly powers a generator as the weight falls to the ground. The startup received its first funding from Indiegogo campaign to produce prototypes for 1,300 off-the-grid families in Kenya. Nizam Bijli provides affordable solar energy solutions to off-grid and underserved people in Pakistan. In partnership with micro finance organizations, NGOs and government rural electrification programs, the organisation delivers electricity to rural customers even in the most remote areas. Nizam Bijli works with an ecosystem of sales agents, installers and village-level entrepreneurs comprising an end-to-end value chain that incentivizes all drivers to ensure the solar home systems (SHS) work for the customers. Nizam Bijli helps create local employment in the community, enabling village-level entrepreneurs to be able to grow a profitable and sustainable business within their community. Increased urbanization and population growth in Sub-Saharan Africa is expected to push charcoal consumption from the current 30.5 million to 45 million tonnes/year by 2030. BURN is committed to making clean burning wood and charcoal stoves that can transform lives and save forests. BURN’s jikokoa is an innovative charcoal stove, which reduces fuel consumption by 45%. Since 2013, more than 250,000 modern were utilised impacting more than 1.3 million people by collectively reducing fuel costs by $37 million, sick days by 54%, and has offset 100,000 tonnes of CO2 emissions. The availability of clean and affordable energy is the basis for any economic, social and community development. Solar Energy Foundation installs solar systems in rural areas to provide local communities with solar power supply to enable access to clean water, improved healthcare and better education. It also trains and supports solar craftsmen and entrepreneurs in finding jobs at local solar companies and provides assistance in own business creation. In order to contribute to ending poverty and make power affordable for poor households, Solar Energy Foundation introduced Revolving Fund, a specially designed financial offering. 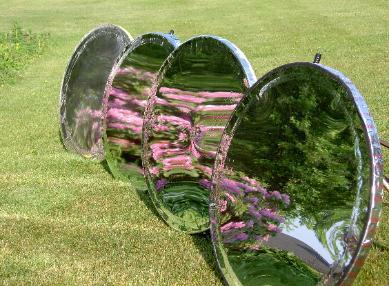 A Better Focus offer a range of high-energy concentrating solar dishes that concentrate solar energy for various applications, including cooking and power generation. The dished can also store heat for use on cloudy days. Patented Vacu-Dish design utilizes reflective film, eliminating the need for tons of glass substrate. Newly developed reflective films by ReflecTech Solar and others offer superior performance to glass mirrors, and have proven to have similar long-term durability to glass. AirDropBox Ltd is supplying a very cost effective and environmentally sustainable solution for first response relief aid in the form of the AirDropBox biodegradable air delivery system. The Air Drop Box team was assembled to design and develop a range of air drop systems to overcome the absence of such a product. The team comprises of engineers and scientists from the marine, aerospace, humanitarian aid & automotive industries. GOODler creates an infrastructure of local retailers and farmers and providing a framework that allows local communities to contribute to overall response efforts, optimising aid allocation based on real-time market conditions. GOODler strengthens communications in humanitarian emergencies by connecting NGOs and affected communities with supporters around the world in a way that collective action leads to collective intelligence. Local actors become first responders to humanitarian crisis. It helps to minimise challenges of unsolicited bilateral donations by giving organisations tools to accept goods donations from supporters on the terms that support, not overwhelm the recipient. Spectra Watermakers offer energy efficient small scale reverse osmosis water purification systems and agents for easily treating both fresh and salt water. The Spectra Aquifer series are suitcase sized systems that have been used by USAID, IOM and Red Cross to provide pure safe drinking water in disaster relief situations. In addition, the Katadyn Group line includes stoves and cookware, as well as both portable meals and freeze-dried nutrition and meal kits. EsVendo functions as vending machines for the people in Kenyan settlements. 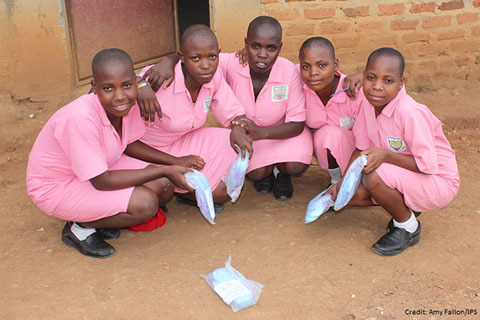 EsVendo enables people to own and manage a small item vending machine to increase access of sanitary towels and other sanitary items in low resource settings. Participants of EsVendo social inclusion program get to own the machines and improve their family’s income thus improving the quality of life of the whole family. The Level Market (TLM) is a comprehensive online marketplace for aid and development products. TLM connects suppliers and buyers of life-saving products around the world, enabling suppliers to sell their products to aid buyers of all sizes and providing a one-stop-shop for buyers to find, compare, review, and purchase the goods they need. By enabling these transactions on an open platform, TLM brings transparency and efficiency to a previously opaque process, lowers costs, and speeds up the process of getting appropriate products to people in need. Agriculture in Africa is faced with challenges such as over reliance on rain fed agriculture, outdated farming technologies and minimal youth inclusion in the sector. Illuminum Greenhouses is working to provide smallholder farmers in Kenya with the best innovative technology and approach to farming, therefore ensuring food security and drought resilience among Kenyan farmers. The greenhouses are fitted with sensors to offer a controlled and regulated environment in the greenhouses. The sensors monitor temperature, humidity, soil moisture and most importantly regulate the water supply through drip lines. The sensor technology can be monitored and operated remotely via farmers’ mobile phone and SMS notifications on the greenhouse current status. The system is powered by solar panels and can work in rural areas where electricity is a challenge. Agribusiness Booster is an innovative instrument that works with pre-growth agri-SMEs in developing countries. 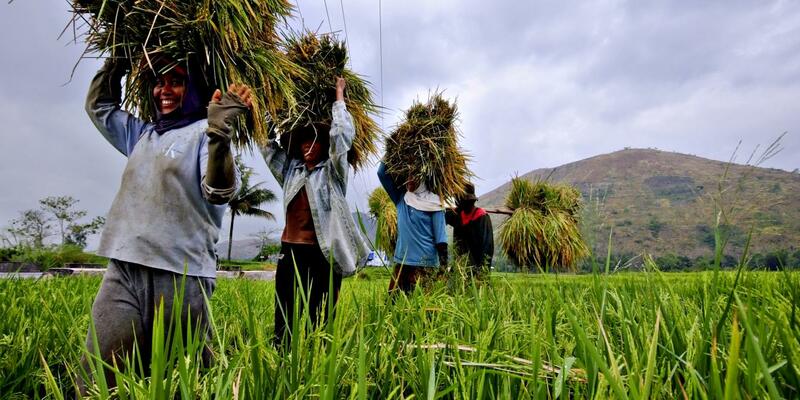 It combines business development services and investing to help grow early-stage agribusinesses. It targets the funding needs of the so-called missing middle - beyond the scope of microfinance and too small or risky for commercial investors. The Agribusiness Booster B.V. is a joint social enterprise of ICCO Cooperation and Woord en Daad with SCOPEinsight and CREAME as strategic partners. Desert Green House created by Gang Chen, CEO of the Xinjiang Shawan Oasisi Sustainable Development Institute, is a low cost solution for food scarcity in desert countries. The desert greenhouse transforms the waste sandy land into arable land to plant vegetables and fruits and to increase the output of high-quality agricultural products. The novel aspects of this solution include the chemical technology of turning desert sand into fertile soil, the novel construction technology of turning waste desert sand and desert rocks into cheap construction materials used on building the desert green houses, and the lowest priced quality dripping irrigation system in the desert greenhouse. 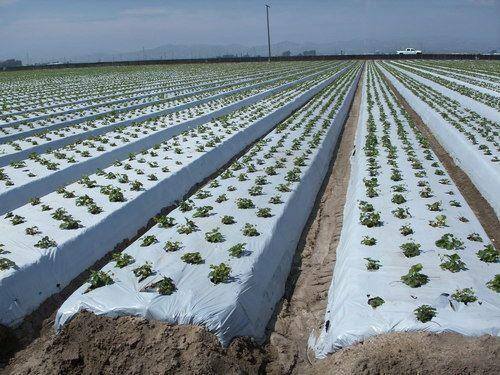 This innovative and profitable application of the desert greenhouses was implemented in several desert provinces in Northern China and Xinjiang. When drought hits and families are struggling to survive, the solutions don’t always have to be complicated or expensive. In Ethiopia, Mercy Corps has devised a new way to respond by providing subsidies to livestock traders during the right market times, when market prices for livestock are too low. The subsidies enable traders to purchase fodder and veterinarian medicine so the livestock become marketable. This solution stimulates the market, strengthens market linkages while also preserving the core breeding animals and also preserving rangeland for the remaining animals. Communities are therefore more resilient to the next drought through this drought response. With the world's population growing rapidly, the amount of fertile arable land is decreasing, which in turn puts more pressure on existing forests and threatens already decreasing animal and plant diversity. Farm O Feed produces organic based fertilisers that replenish degraded and depleted soil nutrient without threatening the environment. Farm O Feed can ensure that food is produced in a sustainable way even in drought situations ensuring food security and maintaining environmental integrity. 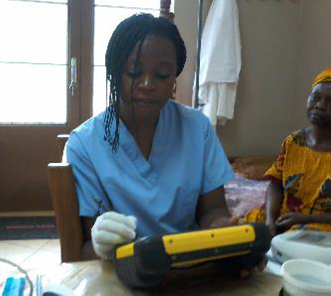 Lifebox Foundation equipment and education programme have addressed the risks related to unsafe surgery and reduced mortality by over 40% , setting standard for appropriate technology and anaesthesia in developing countries. Almost half of medical devices in low-resource settings were estimated to be regularly out of service. Lifebox pulse oximeter is cost effective and simple to use. The machine clips on the finger and calculates the amount of oxygen in the blood stream. It sounds an alarm as soon as it detects the slightest change. When your body can’t breathe, it’s just minutes before organ failure, brain injury and death. 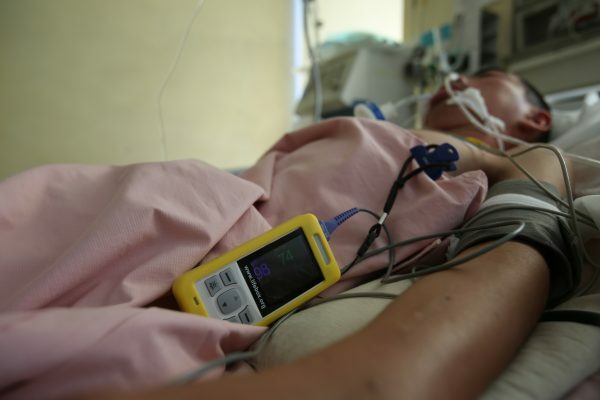 An oximeter makes the difference between emergency action and ‘too late’. 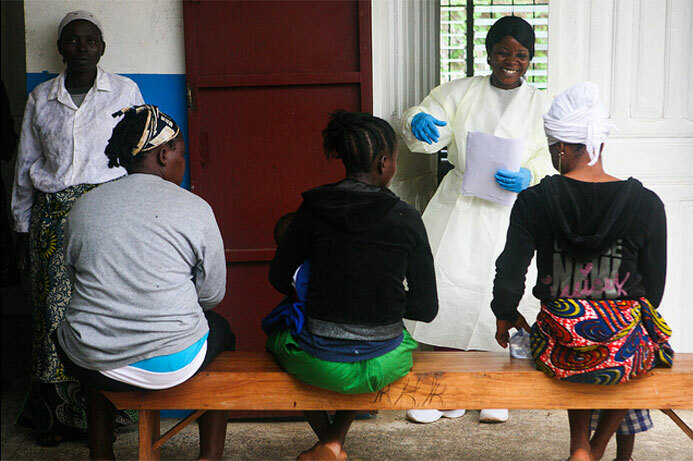 The Foundation trains health workers to use it as part of the World Health Organization’s safe surgery checklist. 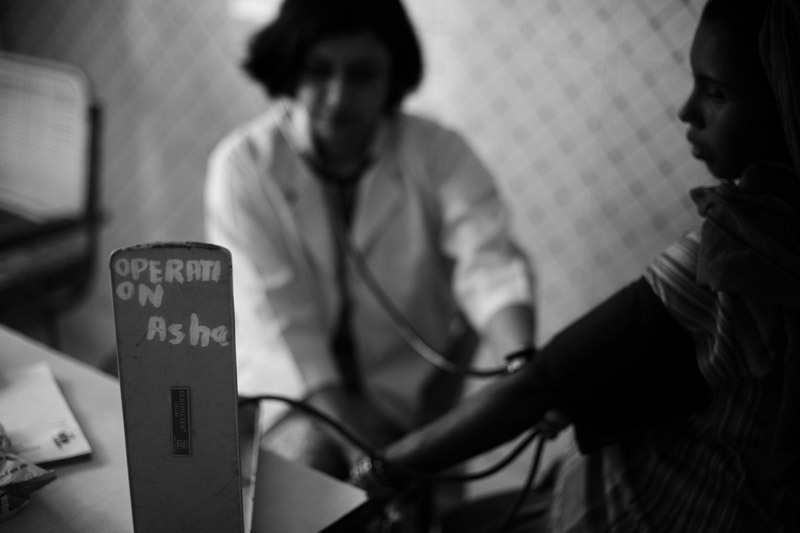 More than 15,000 such pulse oximeters have been distributed since 2011, to over 100 low- and middle-income countries. The Digital Health Library is a comprehensive evidence-based clinical decision-support resource in Kenya, started by the University of Calgary, the Institute of Family Medicine (INFA-MED) and the University of Nairobi. The DAHL enables healthcare professionals to make a better diagnosis of patients’ condition thereby reducing cases of delayed or wrong diagnosis and subsequent complications. It records the time in which clinical decision iwas arrived at and suggests treatment protocol including a choice of drugs. It also documents patients history i.e. referrals, so that receiving facility has access to all relevant medical history of the patient. The Library uses an integrated search engine from MedHand International that combines Oxford hand books, Dynamed, evidence-based journal derived medical information and the Comprehensive Advanced Life Support manual of emergency care guidelines. eCompliance Biometric Tracking System developed by Operation ASHA is a biometric fingerprinting system that has been successfully implemented to track medication adherence to chronic illness like TB, CVD and Diabetes. It tracks every dose taken by every patient to deliver high quality TB treatment. eCompliance software is loaded on a seven inch tablet, which has a SIM card. This connects the tablet to a server through internet or text messages. The tablet updates the server every 20 minutes. It advises the health worker to carry out pre-treatment counselling. Simultaneously, the patient is also registered with her fingerprints in the eCompliance system. Every time the patient has to take the medication, both counsellor and the patient have to give their fingerprints simultaneously. This generates irrevocable evidence that the meeting took place, every time, and the medicine was taken under observation. eCompliance has been rolled out for nearly 9000 TB patients so far in India, Cambodia, Uganda, Dominican Republic and Kenya. It has already recorded over 400,000 transactions. Nearly 185 eCompliance units are now functional. eCompliance is designed to handle as many as 100,000 patients and can be expanded easily for millions of subjects spread across the world. SAM (Severe Acute Malnutrition) Photo Diagnosis, a project by Action Against Hunger Spain, intends to develop a smartphone app which will be able to diagnose nutritional status of children less than five years of age. The app will apply e mathematical technique of Geometric Morphometric to obtain the child’s body shape from a photograph taken by the own device and compare it with morphometric models of a normal-weighted and a child with severe acute malnutrition. This tool could provide an alternative diagnostic tool remote settings where access to healthcare facilities is limited, thus promoting early recognition, prevention and monitoring of acute malnutrition. Hadleigh Health Technologies has designed and manufactured the Pumani bCPAP, an affordable, durable respiratory device for newborns in respiratory distress. 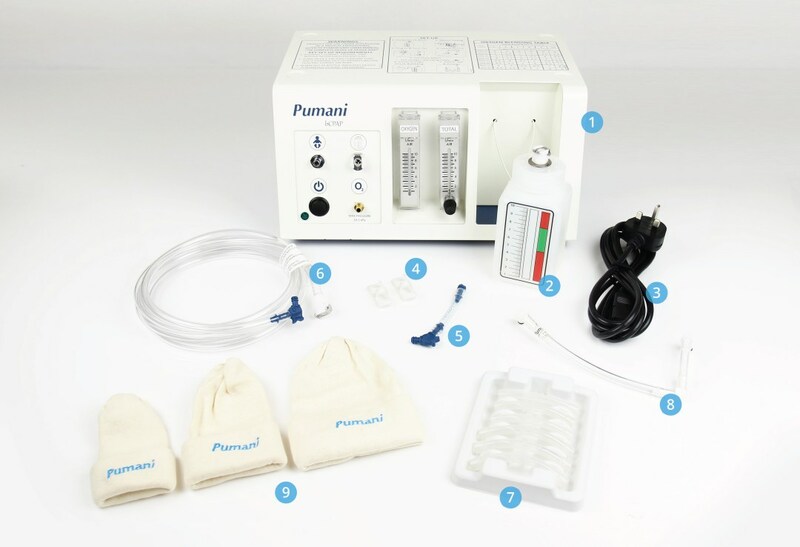 The Pumani bCPAP costs a fraction of any other bCPAP device on the market, and has been designed with and for African clinicians to ensure that the device is easy to use, maintain, and repair. The Pumani bCPAP comes with all of the items required to provide bCPAP therapy. It has now been sold in over 25 countries in Africa, Asia, and Latin America. MediBioSense offers cutting-edge medically approved wearable sensors that capture in real time user health through its heart rate, respiration rate, ECG, skin temperature, steps and body posture including fall detection/severity. The technology enables live data to be viewed remotely anywhere in the world hence providing remote monitoring solution. MediBioSense partners with Vital Connect utilizing their HealthPatch MD and VitalPatch biosensor to revolutionize the way health is measured and tracked, and to transform the landscape of treatment delivery. TyTek Medical manufacture compact, pre-hospital emergency medical supplies for trauma care. Initially engineered for military medics to provide emergency first aid, TyTek life-saving products are now used worldwide. From critical injury on a ski slope, on the roadside, a mass casualty incident or even a terrorist attack, TyTek Medical's pre-hospital emergency care allows first responders to stabilise critical patients until they can be safely transported or until further medical assistance arrives. The company has also developed a solar powered cooling system for use in remote areas for essential medical and agricultural purposes. eCom Technologies has developed the IVR/SMS system, which serves as a hot-line with more features, that Ethiopian Agricultural Transformation Agency (ATA) uses to disseminate agronomic best practices, early warnings and alerts to the small holder farmers in a language they are more familiar with. This kind of IVR enabled information dissemination system could be a typical solution in developing countries where the farmers or any type of service users are not enough literate to use internet or even to read texts. Oxfam’s Digital Financial Inclusion Program addresses lack of accessible and secure financial services for poor in the Philippines, who are unable to take advantage of social protection and financial programs. An innovative digital finance infrastructure platform will allow poor women and men to save money, transfer cash safely and cheaply, use electronic payments to sell and buy goods and services for building their livelihoods and preparing for and recovering from disasters. The electronic prepaid card, developed in partnership with a private sector partner, is a key part of the platform that uses a mobile telecommunication system to replace the expensive and restricted services currently available only to the formally employed or business sectors. Vecna Cares Charitable Trust provides training and technology to support and strengthen health systems in underserved areas for better health outcomes. Its CliniPAK supports various data capture tools, including forms, workflows or application to ensure patient records are complete and accessible. CliniPAK’s open API’s and collaborative approach connects mHealth tools to a patient-centred Clinical Database. 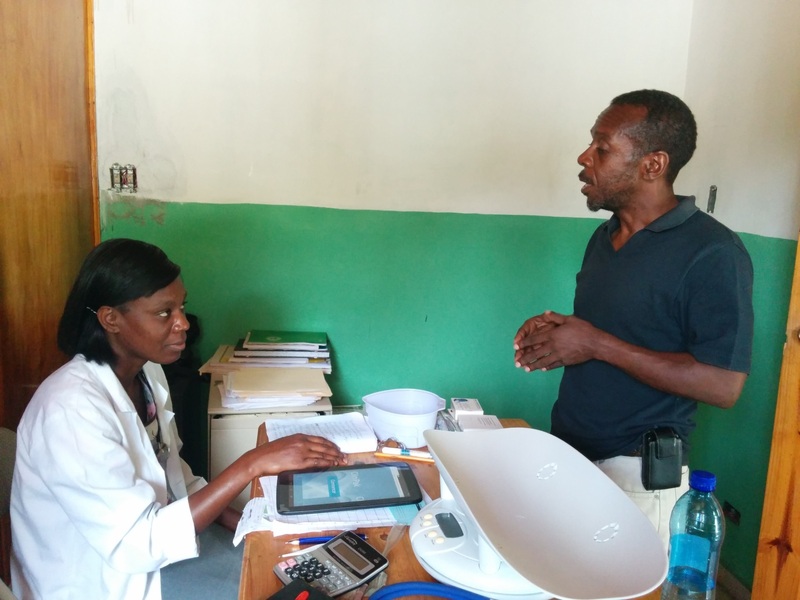 The solution allows community health workers, providers in a hospital and volunteers on medical mission access healthcare information through their phone, tablet or laptop. Whether hosted locally on CliniPAK hardware or centrally in the cloud, providers can quickly cross-reference comorbidities across patients and populations for better understanding of health burdens and resource demands. Users can view and share standard reports for Ministries of Health, export data sets to a Clinical Data Warehouse and present program outcomes to donors, saving large amounts of time and labour while preserving patient privacy. Sigmah is open source software for the shared management of international aid projects. The software is simple, flexible and intuitive and allows each organisation to organise its own work methods, and thereby improve the quality of its programmes. The Sigmah home page is a dashboard that allows a global view of project progress and fundraising at a glance. It allows to set up cycles of projects specific to the organisation and to monitor the progress of all the indicators required for each project. The software also stores calendar appointments, tasks and reminders related to each project. inReach satellite technology from Garmin helps disaster relief and development organisations with logistics coordination and communication an at-risk situation in a remote location or offshore. It allows to send and receive messages, plan and track the journey via GPS navigation, share location with others (MapSwipe) and — if necessary — trigger an SOS to get emergency help from the 24/7 global monitoring centre. The solution based on Iridium satellite network that provides 100 percent global coverage with no fringe zones or blackout areas. 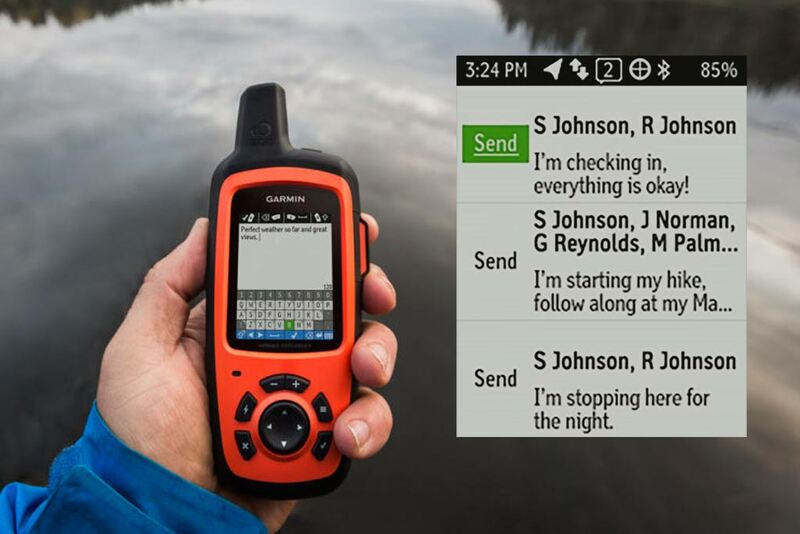 It also includes a mobile app, Earthmate, which lets to pair inReach with the smartphone and tablet for ultra-convenient Messaging, planning and map viewing. Safe Triage supports paramedics to take early action to improve patient care by using embedded and remote medical support tools and wireless monitoring devices, supplemented by video capture and conferencing. Safe Triage Pro is a fully automated triage solution for the emergency services with secure, real-time patient and incident information delivery to receiving hospitals that supports individual or multiple patients at the scene of an incident. It provides an effective single point of access for pre hospital data to improve patient care prior to and on immediate arrival into hospital. Emerging consumers face the highest level of risk, but have the least access to insurance. MicroEnsure creates innovative insurance solutions to address untapped demand and support farmers as they become resilient. This fast-growing service helps excluded communities to protect themselves from catastrophic downside risks. Telenor India’s Suraksha micro-insurance product (by MicroEnsure) which acquired 22 million opted-in customers in just 148 days from launch. Today, micro-insurance focuses on life products, though cover for healthcare (e.g. emergency hospitalisation) is growing fast. Peace Point Action (PPA) is an non-governmental, service-oriented organisation founded in 2005 to address the needs of vulnerable communities in Nigeria. It targets the children, youth and women on issues of environmental justice, good governance, HIV and AIDS prevention, health and gender. PPA strategy involves the use of arts, community drama and music as tools for community mobilisation and behaviour change. The organisation’s main activities in the field of conflict transformation include peacebuilding interventions within the crises prone communities of the country. PPA has built the capacity of young community members in oil producing areas in Akwa Ibom State on how to peacefully engage the oil producing companies on the need for corporate accountability and sustainable oil exploration. Myanmar Book Aid and Preservation Foundation supports 90 public libraries across the country. The computers have been installed and connected to the internet, while library staff received training on how to use them. As one of the findings, mobile information literacy training was the most impactful as many people in Myanmar (80%) are using mobile phones for surfing the internet. The organisation works in Kibera slum of Nairobi, Kenya, which is the second largest slum in the world. Carolina for Kibera exists to develop local leaders, catalyse positive change and alleviate poverty in the slum. It educates at least 30 bright and needy students per year. 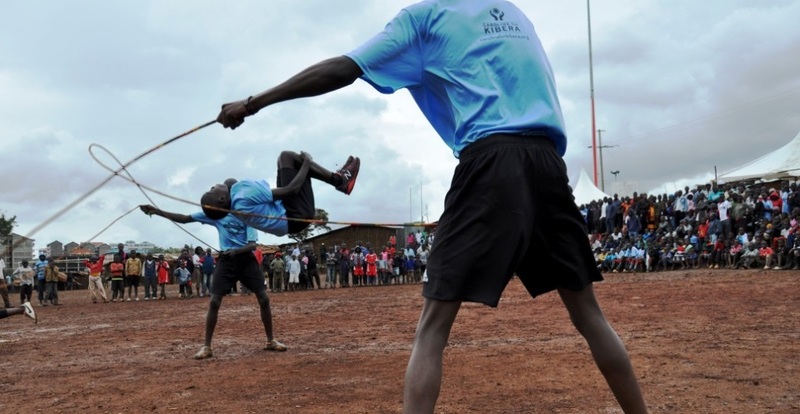 The Champions League, Carolina for Kibera’s flagship program, holds annual soccer tournaments for thousands of girls and boys, bridging ethnic and gender divides to teach leadership, solidarity, and civic service. Teams also participate in community engagement activities, such as trash clean-ups and educational workshops to earn points in the Champions League standings. Through the Caught Offside initiative, players and spectators alike are taught about reproductive health by youth educators in a casual, non-threatening environment. Training and education are paramount to creating a more sustainable future. In order to influence decisions, people must understand the effect of cultural nuances unique to each stakeholder. Papilia provides companies and individuals with personalised training and coaching to guide them through any complex situation. It includes coaching on cross cultural leadership and international etiquette, communications, image awareness, project management, or advanced etiquette. New Life Community Outreach is a non-profit organization dedicated to support young single mothers and share holistic approach to parenting. The goal is teach, train, and empower young mothers to become self-sufficient, well-balanced and a valuable contributor in their communities. A 15-week Parenting Training Program. R.I.P.E.N. provides alternative for single-mothers that are going through situations that may put them at-risk of losing their children because of chronic homelessness, domestic violence, prostitution or drug addiction. Regardless of the circumstances, the training endeavours to empower these young women to step into a new life and leave us as responsible mothers and individuals pursuing their life’s passion with a clear strategy for stability. Developed by NGOs and experts in eLearning, DisasterReady is a free online learning portal with more than 600 learning resources specifically designed for humanitarians working in relief and development. The portal is constantly expanding and covers core topics such as Humanitarianism, Program/Operations, Protection, Staff Welfare, Management and Leadership, Staff Safety & Security, and Soft Skills. DisasterReady.org is available as an open online learning portal for individuals to register on their own or for organisations looking to provide online training to employees and volunteers. Vusha Youth Empowerment Program by the African Centre for Women, Information and Communications Technology (ACWICT) aims to improve the employability prospects and income generating capacities of high potential school graduates aged 20-29 years from poor and disadvantaged households in Kenya. Supported by Microsoft and the Rockefeller Foundation, Vusha is a demand-driven program that is delivered through in-person, in-class training and self-study. 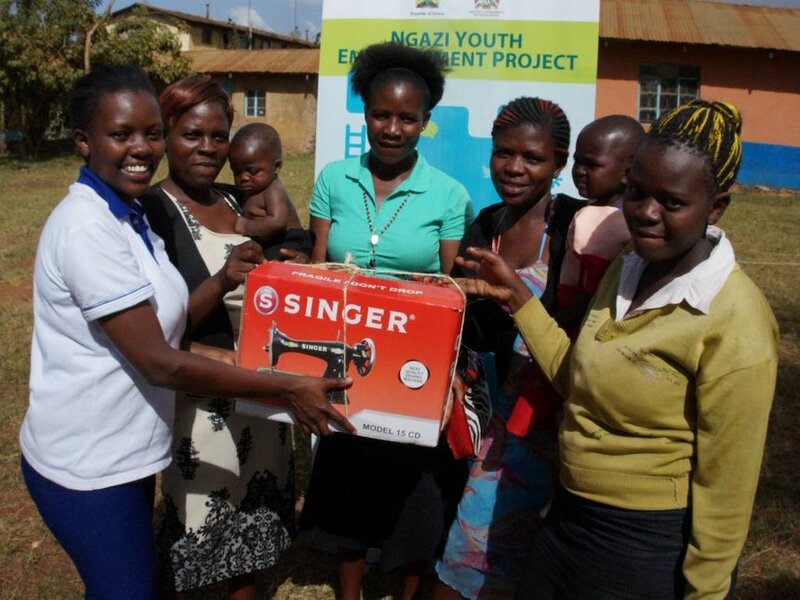 Another initiative by ACWICT is Ngazi Youth Empowerment Program which aims enhance the capacity of 1000 youth in Western Kenya by creating sustainable structures for social and economic empowerment of young people. The Ngazi Project aims at equipping its target audience with digital literacy skills, financial and entrepreneurship skills, life skills and apprenticeship in areas of priority to enable the beneficiaries support the economic and social development of their communities and also set up ICT enabled enterprises. Kenya has a deficit of qualified technology and engineering professionals. This has seen local technology firms’ partner with universities and other training institutions to bridge the gap. Safaricom Limited is running an internship program set to equip students with training on technology. Launched in 2012, the program will also be expanded to include courses in application development, personal finance and inter-personal skills. Since the program’s inception, Safaricom has trained 360 students. This year the telecom will offer 40 out of 63 positions to women and four have been allocated to people with disability. When a disaster strikes, people who have been affected are at great risk of contracting deadly water-borne illnesses. Disasters such as typhoons, floods and earthquakes often destroy water treatment and distribution systems in cities, and cause contamination of water sources in rural areas. Providing people with clean drinking water is of vital importance. The Rainfresh Household Water Purification Unit is a simple, low-tech solution that will provide an entire family with clean drinking water for a year. It can purify water from virtually any source, protecting people’s health during an immensely vulnerable situation. It will also allow families to save money on bottled water, keeping funds for other necessities like food, medicine and shelter as they recover. Each Rainfresh unit consists of two food-grade plastic buckets and lids, three or four ceramic filters, a spigot, a cleaning pad, a gauge, and instructional material. The two buckets sit one on top of the other: one for the untreated water and the other for safe drinking water. These Rainfresh units will provide a point of use solution for families to treat, purify, and store clean drinking water. The unit will prevent vulnerable populations from being afflicted by water borne disease such as cholera. Rainfresh goes beyond typical emergency water filtration systems. While most emergency household filters assist families in the short term, Rainfresh provides purified drinking water well beyond the emergency phase of a disaster, and into the recovery and rebuilding phase. As families work to rebuild their lives, Rainfresh is there to keep them healthy and safe for a full year. Worldwide 2.5 billion of people still lack access to adequate sanitation. The consequences are inhumane conditions, health problems and high mortality rates, especially among children. Especially in emergencies, conventional toilets fail and rapid deployable sanitation solutions are needed. MoSan offers an ecological sanitation solution for slums and refugee camps. 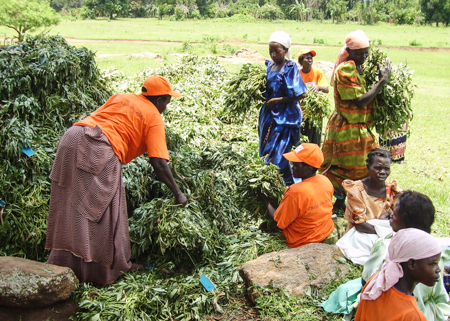 MoSan focuses on real needs and involves affected people in the development process. The toilet and the sanitation system can be locally adapted to people’s needs and the infrastructure. 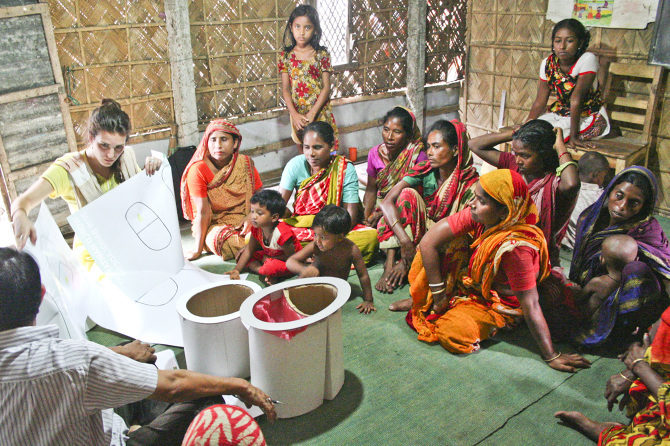 MoSan started in 2011 in Bangladesh when the industrial designer Mona Mijthab worked with GIZ (Deutsche Gesellschaft für Internationale Zusammenarbeit GmbH). The MoSan solution was tested by GIZ, OXFAM, and WSUP. The development was made possible through the support of: GIZ, USAID, Creative Hub, Climate-KIC and the CEWAS entrepreneurship program. The project received the Swiss Social Entrepreneurship Award 2016, the Hans-Sauer Social Design Award 2015, and the Bestform Design Award 2013. The goal of Sustainable Sanitation Transformation (SSTPU) by SNV Netherlands Development Organization is to improve public access to sanitation facilities in 12 small towns in Peri-urban and Urban Areas of Ethiopia. The solution facilitates the construction of improved holistic gender-, environment- and disability-sensitive WASH facilities linked to biogas digesters in market centres and primary schools. SSTPU encourages diversification of business opportunities from the use of the energy produced from the linked bio-digester for small restaurants, businesses and schools, and the bio-slurry as organic fertiliser for smallholder farmers. The organisation takes a holistic approach to promoting safe hygiene practices, increasing the demand for sanitation facilities, creating access to improved facilities in schools and market centres and bringing private operators into the sanitation value chain to increase sustainability. Planet Water Foundation's AquaTower is a community-based water filtration solution that provides clean, safe drinking water at a rate of 1,000 liters per hour. The AquaTower's UF filtration system utilizes available water sources (i.e. 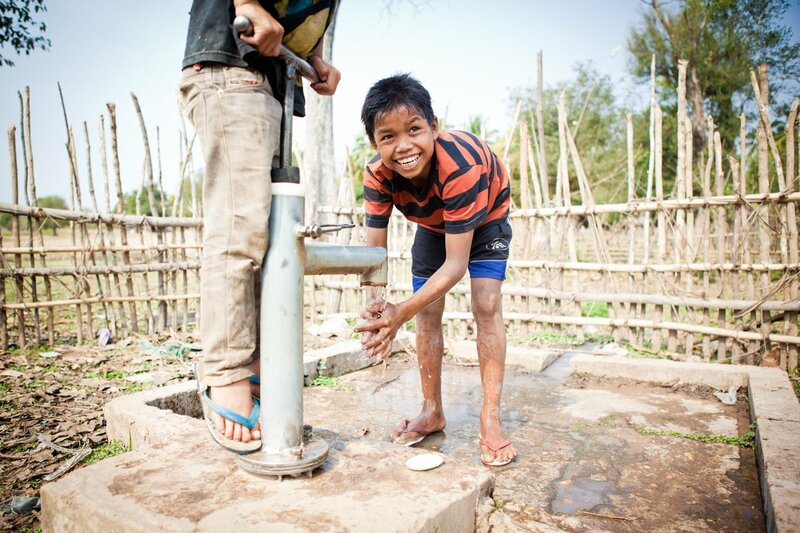 wells and surface water) to support the daily drinking water requirements of 1,000 people. The system can be operated manually without power, is very easy to operate and maintain, and requires few consumables. Planet Water Foundation's AquaTowers have been installed in 1,000 communities in 12 countries and are currently supporting the daily drinking water requirements of 1 million people. Briotech Inc. unique formulation of pure hypochlorous acid (HOCl), a non-toxic, naturally occurring biochemical disinfectant derived from the human immune system, can safely and efficiently destroy the deadliest known and highly resistant pathogens on skin, clothes, surgical instruments, and surfaces. BrioHOCl inactivates infectious proteins, known as prions that cause chronic brain diseases in humans and animals. It can decontaminate and disinfect industrial facilities, displacement camps, medical clinics, aircraft, destroying bacteria, viruses and influenza, fungus and mold, and even the most resistant of infectious agents, the prion proteins that cause Mad Cow disease. All Brio pathogen testing has been done by third-party laboratories in four countries, and most have been verified by the US National Institutes of Health. BrioHOCl is simple to store and is safe for people and fabrics with no rinsing required. Constant Water is an automatic backup system for homes and businesses on water wells and unreliable public systems. It is uniquely capable of supporting global water efforts and as part of disaster prevention and relief efforts. Integration of the Constant Water system into water projects in lesser developed countries can allow the introduction of critical sanitation and hygiene practices much earlier by closing the "production to consumption gap" that exposes potable water to contaminants during transportation or storage. S-teemer (HandyShower) is a multipurpose, light and simple portable valve, making it especially convenient in post-disaster conditions. The solution serves as a portable hand tap, a shower or a bidet (shattaf) in one pen-like device. It ensures maximum water efficiency which is particularly important in water-scarce areas. Hand washing valve may be pedal operated, hence contactless and minimises the risk of spreading bacteria - a distinctive quality among portable valves. For over two decades, Aquatabs water purification tablets have supported aid agencies, NGOs and peace keeping/defence forces to disinfect water, reducing total and faecal coliform levels to zero or low risk. In 2016 alone Aquatabs disinfected more than 11 billion litres of water. Point-of-Use application, affordability and easy to store, handle and transport are the key benefits of Aquatabs. Manufactured in Ireland under pharmaceutical conditions with USEPA and WHO certification, two latest additions to the product line include Aquatabs Flo™ (open / gravity) and Aquatabs in-line™ (closed / pressurized) for dosing water at “Point-of-Collection”. The P&G water purification technology in a powder enables people anywhere in the world to purify dirty water in a simple, affordable and convenient way. Invented by P&G laundry scientists who were originally separating dirt from used laundry water, the packet turns 10 litres of dirty, potentially deadly water into clean and drinkable water. It contains a powdered mixture that removes pathogenic microorganisms and suspended matter, making previously contaminated water clean. Developed in collaboration with the U.S. Centers for Disease Control and Prevention (CDC), the solution removes 99.99% of common waterborne bacteria (including those that cause cholera), 99.99% of common waterborne viruses (including those that cause hepatitis A) and reduces diarrheal disease incidence in the developing world by up to 90%. In the direct aftermath of an emergency, providing affected people with clean, safe drinking water is of utmost concern. Water-borne diseases spread easily, having devastating effects on already vulnerable populations. Natural disasters often cause serious damage to water purification and distribution infrastructure. It is therefore vital to mobilize large-scale point of source water purification equipment in strategic, central locations to provide drinking water to at risk communities. Rainfresh AquaResponse is a packaged water treatment system designed to deliver microbiologically safe drinking water from surface water sources such as a lake, pond, river, cistern or well. Featuring Rainfresh’s high performance ultraviolet disinfection technology, AquaResponse features a triple-stage treatment design. The first stage removes dirt, rust, sediment, silt, mud and other particulate matter. The second stage reduces organics and the third stage disinfects the water by destroying bacteria, coliform bacteria (e.g. E. coli), water-borne viruses and parasitic cysts (e.g. Cryptosporidium & Giardia). The AquaResponse is available in three variations. The AquaResponse3 can purify 680 litres of water every hour which can effectively serve 3,000 people every day, making it the perfect solution for schools, hospitals, orphanages and small temporary settlements. The AquaResponse10 can purify 2,275 litres of water every hour – enough for 20,000 people – effectively supporting IDP camps and small communities. Rainfresh’s AquaResponse water purification systems are mobile point of source water purification units that are specifically designed for emergency situations. They have the capacity to provide entire communities with purified drinking water, in the most inaccessible and remote locations. The units are highly mobile and can be adapted to work with virtually any water system. Training local stakeholders on the system’s use increases their overall capacity during a disaster situation as communities can easily operate the units independently.